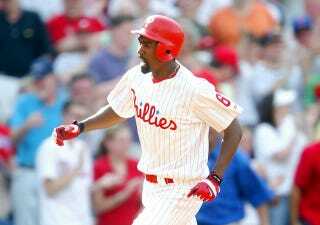 Former major league player, current ESPN analyst, and all-around good dude Doug Glanville has written an essay for The Atlantic about the time he was racially profiled in front of his own home. Just as I was good-naturedly turning all this over in my mind, my smile disappeared. A police officer from West Hartford had pulled up across the street, exited his vehicle, and begun walking in my direction. I noted the strangeness of his being in Hartford—an entirely separate town with its own police force—so I thought he needed help. He approached me with purpose, and then, without any introduction or explanation he asked, "So, you trying to make a few extra bucks, shoveling people's driveways around here?" All of my homeowner confidence suddenly seemed like an illusion. In a sense, the shoveling incident was a painful reminder of something I've always known: My biggest challenge as a father will be to help my kids navigate a world where being black is both a source of pride and a reason for caution. I want them to have respect for the police, but also a healthy fear—at least as long as racial profiling continues to be an element of law enforcement. But I also want them to go into the world with a firm sense of their own self-worth. Glanville is a very thoughtful guy, and his essay is worth reading.